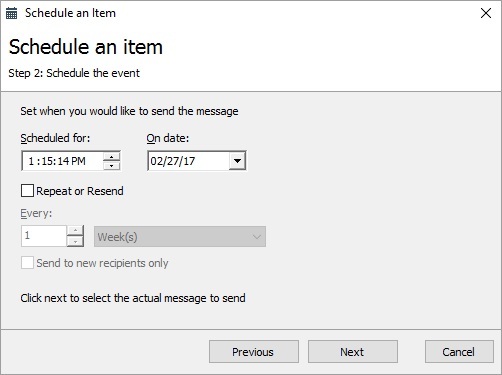 This tutorial will show you how to schedule email to send later. 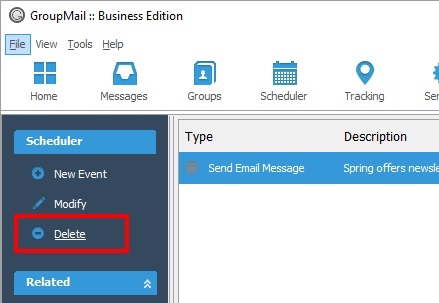 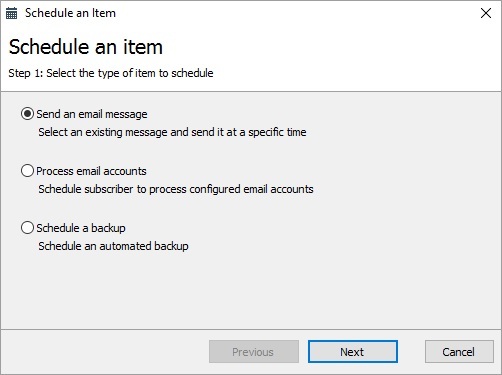 It will also show you how to schedule other events and how to modify and delete scheduled items.The Scheduler Add-on is only available with the GroupMail Business Edition. 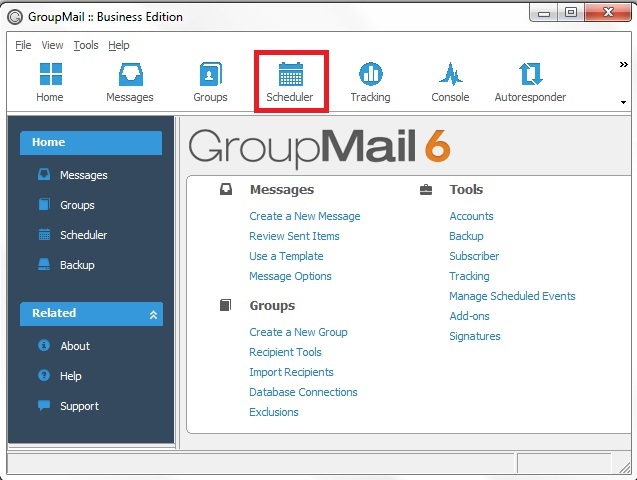 GroupMail Lite Edition customers can upgrade to the GroupMail Business Edition at any time. 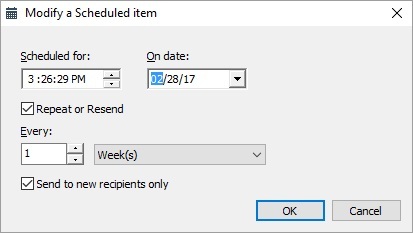 Select a scheduled event that you want to modify and click on “Modify Schedule” from the Scheduler task list as show in Figure 6. 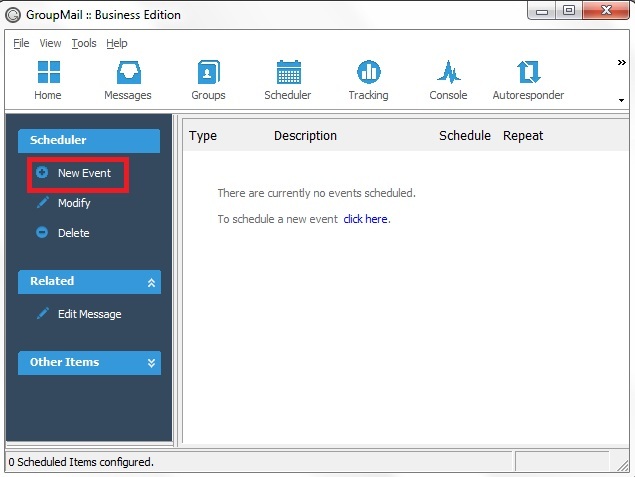 You can also right click on this event and select “Modify”. 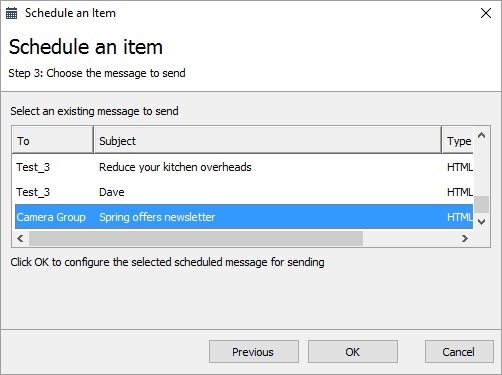 Want to see who opens your email and clicks on your links? 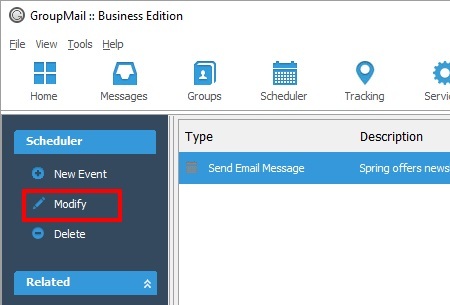 Sign up for our email tracking service, Insights too!